Cords of Steel for all your phone charging needs. We all need chargers these days, and let’s face it most houses are deeply divided over the important iPhone vs. Android debate. But we now can offer at least a little bit of unity with Cords of Steel. 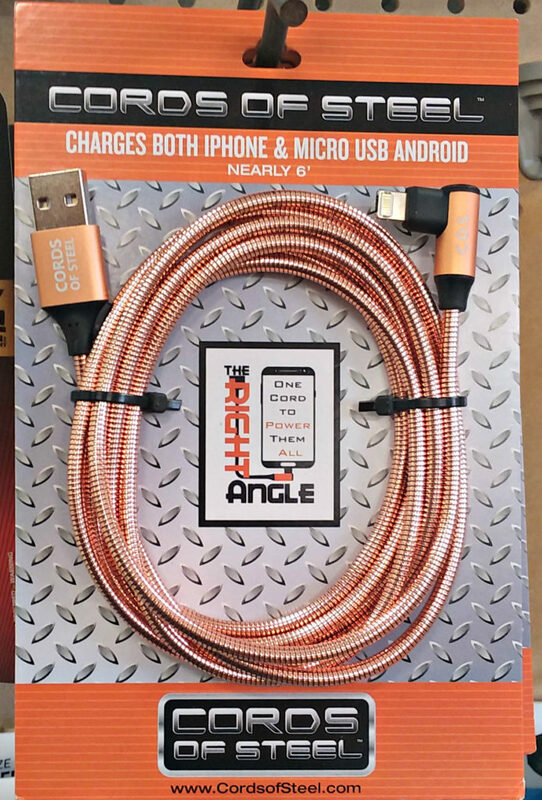 Not only can a single cord charge any Apple and most Android products, but it can also charge anything with either a lightning or micro charge port. These cords also eliminate the issue of having the wrong angle for the right port as they are reversible! Oh, and did we mention that they are stainless steel, which means no more frayed cords. This might be the last charger that you need to buy.